A few of our volunteers and supporters have been knitting cat toys for us to sell at fetes and fairs which is a great way for us to raise money. Most of the patterns are very easy and quick to sew and use up very little yarn so they can be made up of wool left over from other projects – cats really are not too fussy about the colour of their toys anyway! Really, the only cost is stuffing and cat-nip, both of which can be ordered online pretty cheaply. As well as a cat fanatic, I am a keen crafter but knitting is one craft I have struggled to learn so decided to try and find a little knitting project to get me in to the swing of it…. 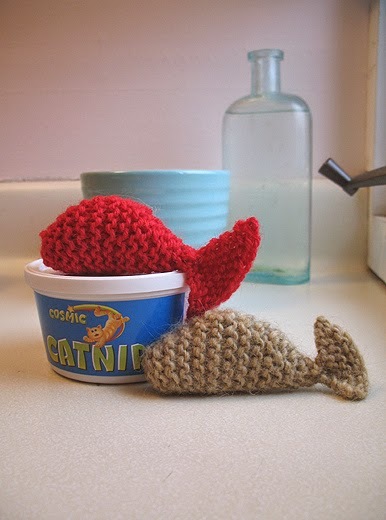 That was about a year ago and still, all I can make is a cat-nip whale! Anyway, it is a very relaxing way to spend an evening, and my cat, Melly Boy, loves it as he likes to play with the yarn as it un-ravels, he is also partial to a sniff or two of the catnip which tends to flick all over the place….everyone is a winner! I have become a bit of a well-known cat-nip dealer and lots of my friends and colleagues put in orders now to feed their cats habits! 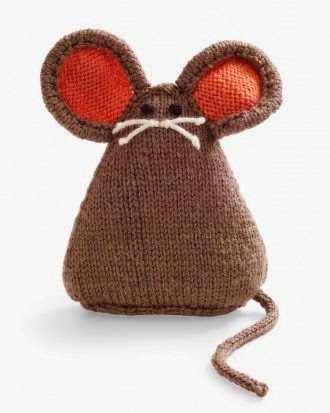 Another one, I would like to try, when I brush up on my skills a bit is this gorgeous City Mouse from the very talented MarthaStewart. It doesn’t look too difficult, although I am guessing it will be a bit on the tricky side for me. There are loads of other cat related crafts, some of which are really simple and would be great fun to do with the kids, such as the tissue box and toilet tissue roll feeding game. 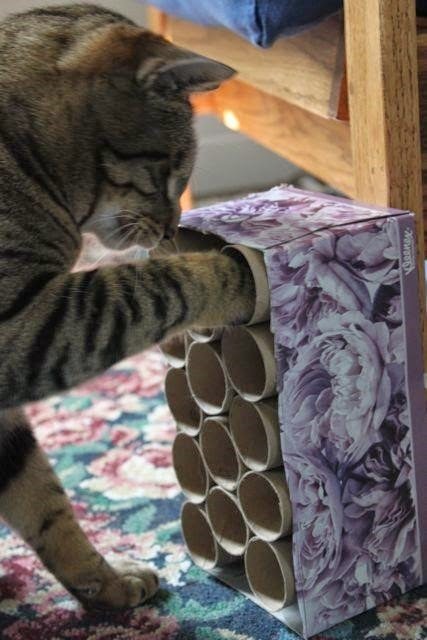 Just stick some toilet tissue rolls into a box and pop some of your cats favourite treats in there. Your cat will love this game as it brings out their instinct to hunt for food. It would be a great plaything to leave out for your cat while you are at work to keep him/her out of trouble! Or, if you are a bit green-fingered, how about growing some catnip (otherwise known as cat mint) or cat grass from seed? 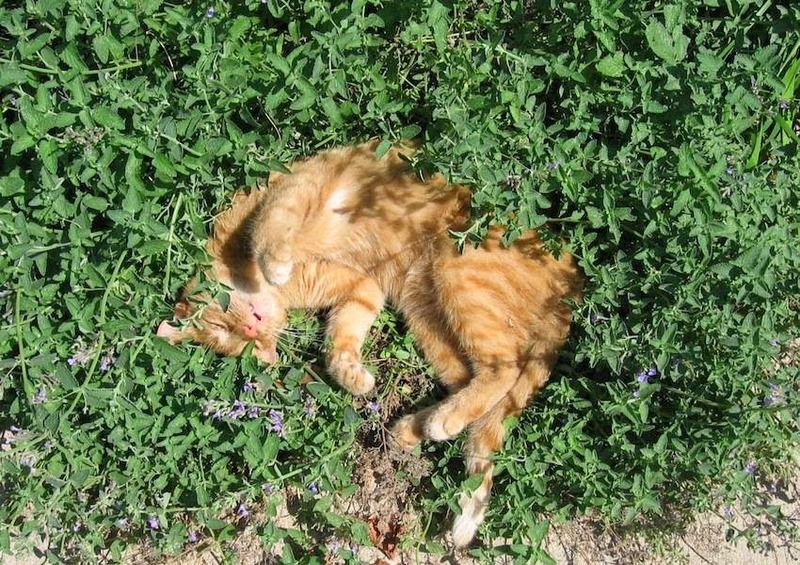 Cat nip is a great plant and your cat should love rubbing around the leaves and stem to get themselves a little “high”. Cat grass is exactly what the name suggests, a grass! Many cats enjoy eating this grass and many say that it aids digestion. Seeds for both of these plants can be found in most garden centres. Melly is addicted to his Cat Mint plant and cannot resist a little chew and a roll in it every time he goes into the garden. The Delights of Cat Nip!